Click here for Updates on Economic Development accomplished during my terms. Here I want to inform you of some of my accomplishment’s over the last 8 years 2011-2019 as your Ward 2 Alderwoman of the City of St Ann. Before I got in office in 2010, I assisted Alderwoman Sherry Hoffman in her fight to prevent Prop S, a street prop that would have had St Ann residents paying to fix city streets for 20 years, so that by the time they were paid off…they would need to be fixed again. We successfully defeated this Prop. It was replaced with a Rock Rd TDD, ensuring revenue for street maintenance but only on roads leading to businesses. 2010 Suggested Camera’s in the Parks, structured to reduce damages caused to our parks like the 2 Pavillion fires, graffiti and holes cut into slides on the playgrounds, destruction of park benches, to protect our children. 2011 – We voted to Eliminate an entire Ward of the city, so we went from 5 Wards to 4 Wards by 2013. These efforts were to save dollars and be able to re-establish a Quarterly Newsletter to better communicate with the residents again. 2011-Present - Analyze and Question the City’s Budget and Financials monthly. 2011-Present -Pushed to bring the cities Technology use up to date. Currently we accept credit at the Community Center, Pool, Cityhall, with Golf to follow. 2011 pushed to return the CBD Grant back to the residents for use in repairing their homes. 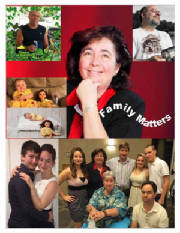 See my website @ www.amypoelker.com front page. 2011-Present I Actively Market Businesses & all Community Events on Email, Facebook, Twitter, Instagram, Peach Jar, Nextdoor App… to get the word out as far as possible. 2011 Fought to get the street St Gregory Court properly named on the St Louis County mapping system, as residents had trouble receiving mail, packages and even pizza delivery. 2011 the BOA at the Mayor’s request established the Beautification Committee – its goals to assist those who have no one to help them maintain their homes. This committee also reviews housing March-September and awards per ward - 2 homes and a business based on exterior maintenance each season. 2011 Active member of the Economic Development Committee where in 2012 we successfully gained a Developer for Northwest Plaza now called “The Crossings at Northwest”. This project was always intended to be a mix of Business Offices and light Retail, the thought process being that the Business Offices would create a customer base for the retail businesses and help attract retail to the city again. 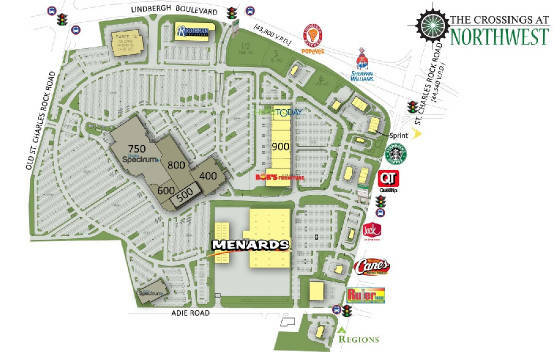 Current new businesses are Menards, Rulers, Regions Bank, Raising Canes-still the busiest Canes in the St Louis Region, Generation 3 QT, Sprint, Bob’s Discount Furniture, Starbucks- still the busiest Starbucks in the St Louis Region, Charter Spectrum and their Training Center, Election Board, Work Force Mgmt., and a Satellite Assessor’s Office, Cricket, Cardinal Health Care, 3-4 other Call Centers in the 500 Building, First Watch, Value City Furniture, American Family Insurance, Save A Lot Corporate Office and more to come ___________ and in other areas of St Ann, IE; Aarons Rent to Own, St Vincent Depaul, Family Dollar, Bus Loop Burger, Dollar Plus, SABA Pet Store, Brooks Bible College, Aldi’s, St. Louis Black Belt Academy, ATA Tae Kwando, Caterer, Vape Shop, Urgent Care, 3-4 Hair/Nail Salons, another Dance Studio, Dollar General, Waffle House, We Rock the Spectrum-Kids Gym, Manhattan Auction Marketplace (MAM), a U-Haul rental service added to one of our businesses off Geraldine, New Construction 10687 St Charles Rk Rd, new business to locate at 3191 Ashby. 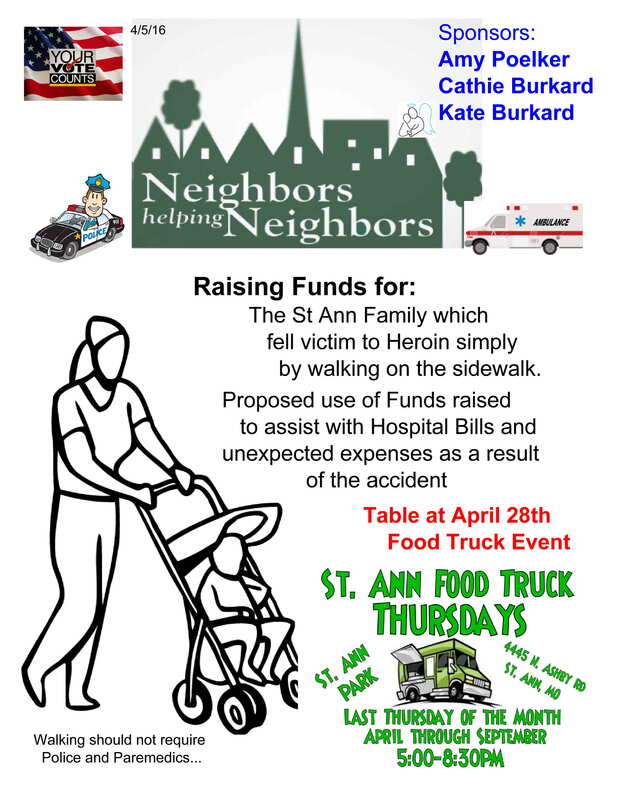 2012 Aside from walking the business corridor to inform the businesses of the existence of the St Ann Business Association, I walk the Business Corridor to ensure they are informed on major events within the city. 2012 Fought to allow businesses to participate in St Ann Days. Parade attendees jumped from 30’s to as high as 52. 2013 Assisted citizen Maurice Gayden in his fight to Save our St. Ann Quik Trip, at Wright/St Charles Rk Rd. though we lost this battle originally, I initiated a whisper campaign to not shop in nearby QT’s and wrote the CEO of QT and found a replacement business, in the end we won when our Quik Trip returned August 2014. 2013 Pushed and improved communication between the City and its residents. 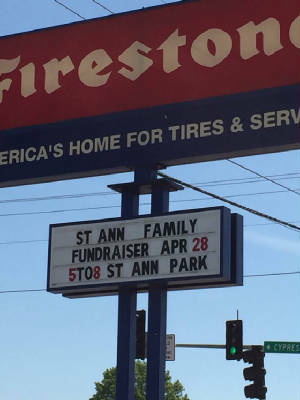 By Re Establishing the St Ann Newsletter, Pushing information out to the residents through self-paid articles in the Localite Newspaper since 2011, which hits every household in St Ann, engaging in Facebook, Nextdoor App, Instagram & Twitter with the residents and maintaining an Email list where I send out to residents information who are not on Social Media, Post Cards to the 70+, pushed and continue to push for City Website improvements, pushed successfully to get the city to create or improve use of Facebook Pages to reach out to residents for better communication with them i.e. 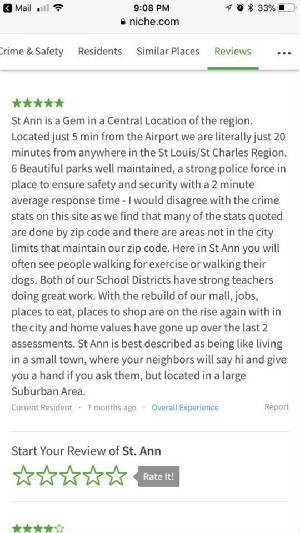 - St Ann Neighborhood Watch, St Ann Parks and Recreation, St Ann Golf Course. 2014 Assisted my partner Aldermen, to push through the repairs of the Livingston & Wright Park Playground. 2014 Requested and Held a Public Forum on the Westlake Pipeline built thru our cities along St. Charles Rock Road. https://youtu.be/dXfiy7Fn6g4 and introduced my Airport Township Committeeman to the topic which in turn brought Senator Roy Blunts participation and a Bill before the Senate s2306 which passed. Also, informed Dawn Chapman that Maria Chappelle Nadal was one of Bridgeton’s Senators and would be a good source for bringing attention to the issues of the Westlake Landfill. These actions led to action by the EPA to remove the waste from Westlake Landfill, on March 6, 2018 I spoke before the EPA, to remove all the waste to ensure the safety of future ground waters as there were 2 Semi Trucks buried in the 70’s about 50’ down. I initiated the investigation in St Ann on this topic. The landfill in 2018 is under direct authority of the head of the EPA, currently there is a plan to Remove the waste up to 20’ and cap. The fight now lies in the Ground Water contamination issues. 2014 assisted a resident with a Christmas Caroling project, about 25 residents sang on 2 evenings. YEARLY - Very active member of our Neighborhood Watch Program. 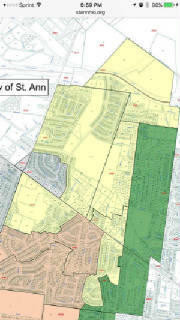 2014 After forcing bids for trash service, I Negotiated a 2.5% SAVINGS for the City of St Ann SENIORS on their Trash bill above their 10% Senior Discount, for years 2015-2020. Fought successfully to add a Hamm Radio system to our community Emergency response systems. Because as of 3/1/16 after 2 tornadoes we still had NONE. Assisted my partner Alderman in her fight for a Sidewalk along Wright Ave for public safety. Yet to be installed, but on the list for Federal Grant Streets. 2016/2018 Christmas Lighting Contest, yearly 2011- present Christmas Light Thank you’ s passed out. 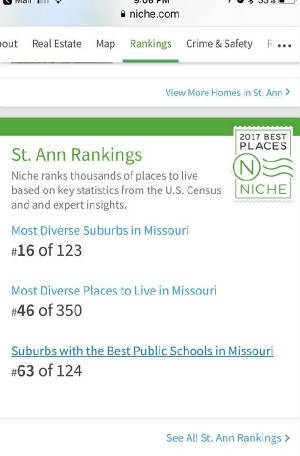 2016 Result the Missouri Supreme Court ruled it was unconstitutional for St Louis County to enforce their standards over municipalities. 2016 As a result of SB5 & SB572 and especially the new court mandates set by the courts, a million-dollar loss in revenue to the city, made it clear that if we are to maintain our current level of policing we would have to be willing to pay for it, just as then Senator Schmitt had intended when he wrote and passed SB5. The BOA voted to put that question to you the voters in April 2017. The result of that vote was 61% yes. Thank you for supporting our Police Dept. 2016 Assigned to the Mayors Golf Course Task Force, to determine its future and/or its needs. Result- Course operates at a deficit. Sept 10th of 2016 the First Dog Swim at our Pool took place, this satisfied 3 years of pushing. 2016 Moved to have the residents view the Entire Agenda Packet for our meetings so they could see expenses, revenues and bids etc. just as the BOA sees them. 2017 City received an A2 Moody Rating, praising the cities sound financial management. 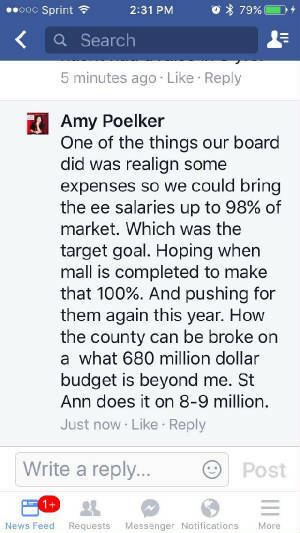 2017 Resolution of the City of St Ann against a Statewide vote on a City/County Merger. In 2017 the residents decided NOT to do a City-wide TDD to solve all the Street, Sidewalk, Trees maintenance issues into the future. We must seek alternative methods to fix our roads. Reduced unemployment in St Ann from 9.2% in 2012 to 6% in 2016 to 3.02% in 2017. 2017 Solved a Street Light issue on St Francis, through Ameren Rep.
2017 Reduction in Resident Rates at Tiemeyer Pool from $6A/$5C Seniors $3 to $4A/$3C and Seniors FREE, this resulted in an 15% increase in use from $86,000/yr. 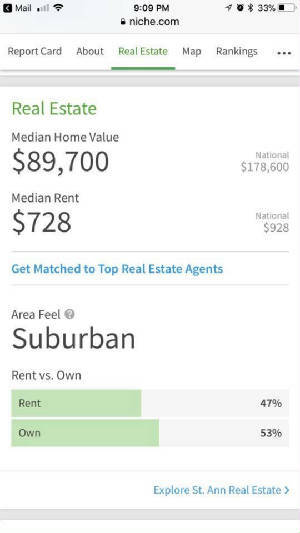 to $102,000 in 2018. 2017 Updates to the Animal Code esp. ADA. 2017Established - You Tube Meetings so those who could not attend our Alderman Meetings can still see them. 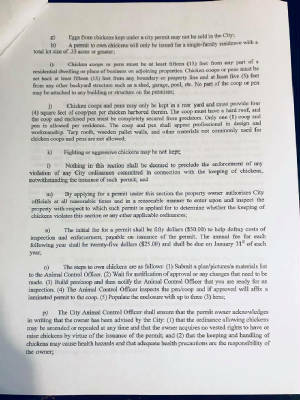 2018 Outsourcing of Grass Cutting of residential violations, which allows city to accomplish the cutting faster and at the Bid Price vs a $500 fine, so the residents win as well by paying the bid cost of cutting only. 2018 Solved a 10 Yr hole issue on St Francis. 2018- Present, Playground replacements through grants. Beginning with Tiemeyer by Pavillion 1,2,3 in Fall 2019. Fought for but lost the battle to allow residents to have chickens in the city-14/15. 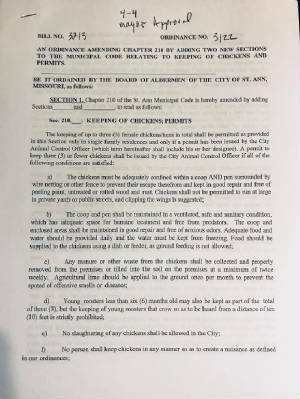 In 2018 assisted Alderman Murphy with a re-initiative on the Chicken Ordinance. 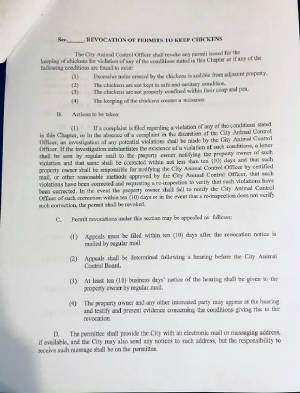 On 8/6/18 the Chicken Ordinance passed with a 4-4 vote and the Mayor saying yes. It was signed into law on 8/30/18. 9/4/18 worked with residents to maintain our Private Property Rights- when the Chicken Ordinance suddenly took a turn that would have required your neighbors to decide if you could have chickens on your private property or not. Outcome- It was sent back to committee where it was decided to not bring it back for a vote. 2018 – Figured out American Water Co is responsible for painting Fire Hydrants and checking them, located contact person and began the process of getting our Hydrants painted in St Ann. November 2018 painting began. 2018 November - With use of the media, successfully sped up the repair work of the Water Co. on Ashby, St Gregory & St. Richard/St. Williams long over due from the water lateral repairs and sewer lateral damage on Ashby. November 2018 created a Budget Spending and Revenue Chart for the citizens to better be able to understand how their monies are spent. 2018, December – Employee Job Descriptions begun for creation. 2018 November – You Tube to be used in Planning and Zoning Meetings to protect the city from he said she said etc. 8/2018 When County Councilman Sam Page stopped our Sav A Lot Corporate Office from coming to St Ann, simply because he did not get a copy of their Private Lease with the Crossings Developer, our Board of Alderman stepped in to ensure we did not lose this Corporate Office. This project was begun by the Mo. Economic Dev Dept., and Mr Page thought it had begun by the St Louis County Econo Dev Dept. he played politics with 328 Million Dollars of our Economic Development, for his own purposes. He believes that when he passed the County Election Board to come to St Ann that he was duped on the cost. 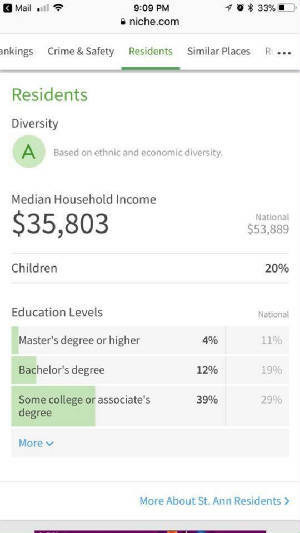 To me this tells me two things: 1. He must not have read his paperwork. 2. As he did not have a concern till 2yrs later, this is simply a political move to remove Stenger during his election year. 2018 Achieved ground testing within the city. 2018 After a year of working with a Citizens Street Committee, achieved an 8-0 vote from the BOA on Dec. 3rd to attempt a Citywide TDD to end the cities infrastructure needs. Outcome to be determined by a Vote of the People in November 2019. Fundraisers for citizens in need i.e. ; 2014 Women whose wrist was broken in a robbery on Ashby, 2015 Christmas Eve Fire on St Ann Ln, 2015 Family run over on the sidewalk by the Heroin overdose driver, 2016 St Damian Fire, 2017 another Ward 3 Fire. 2018 a Tablet for the 9-yr. old bit by the Pit Bull. Had a poll running on Facebook throughout St Louis City and St Louis County to determine whether the citizens of these two regions desire to merge or not. Poll result was 57% against. Even after Better Together and St Louis Strong asked their followers to vote in it. redirected for the renovation of St Leonard, No worries the 2018 dollars are still available for use by the homeowners. 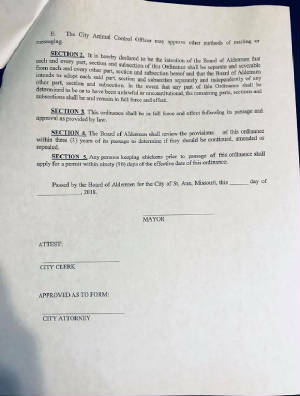 2019 - In January, Better Together announced their plan to place a Constitutional Amendment on the ballot in November 2020 to create a new Metro City form of government which would in the end ELIMINATE municipal governments by merging St Louis City and St Louis County. As shown above I have been involved in this since 2012. When the MML voted to use the Freeholders Method in the current MO. Constitution I held Petition signings on Feb 9,19 March 19 as well as spoke at meeting in Overland on the Amendment and what it did and Petitions signed there. 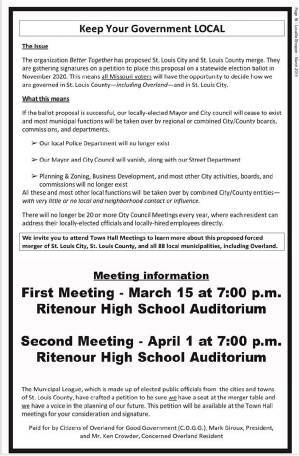 Which led to 2 public speaking events at Ritenour High Schools Auditorium on March 15 and April 1st for residents to learn about the amendment and sign petitions. Am running Statewide ads on Facebook and Blipboard ads to work to reach outstate MO. with our message of DO NOT MERGE US. Created the letter below to attract businesses. Starting as close as possible at 17:30 min into this Council Meeting. Hear the discussion that centers around the Election Board moving to the Crossings. If indeed they were duped? It is only because they never read the Contract. As 2 years later they suddenly decide they need to change their minds. Then go to 44:00 min to hear beginning of voting on it. Understand that his problem with this project is that the developer and Sav A Lot will not share their lease agreement with him, so he can compare it to the County's lease agreement on the Election Board at the Crossings. Understand that it is NOT OUR GOVERNMENTS JOB, to MANDATE that businesses and developers share their PRIVATE LEASE AGREEMENTS with them. Understand that SAM PAGE THINKS IT IS WITHIN HIS POWERS TO STOP ECONONMIC DEVELOPMENT, simply because he did not get his way...…. Better Together has been trying to tell the public that it is the Muni's that slow down the Economic Process....This attests that the REAL PROBLEM LIES IN BIG GOVERNMENT....as SAM PAGE has STOPPED THIS PROJECT FROM MOVING FORWARD FOR NOW 8 MONTHS & NOW HE HAS STOPPED IT COMPLETELY FROM HIS END. AS SEEN IN THIS VIDEO, NONE OF THE REST OF THE COUNCIL EVEN GOT TO VOTE ON IT....HE TOOK THIS ON HIMSELF. 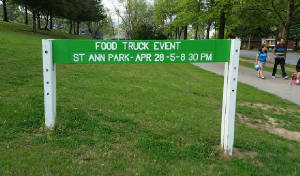 and yes St Ann BOA will move this forward. When the Sav A Lot Corp was bought out, a Nationwide Search was put out to relocate the Headquarters from St Louis County and our Developer provided the deal that kept Sav A Lot in St Louis County.... Sam Page it is not your job to TURN AWAY Economic Development because you are not privy to the details of a Private Business Contract. 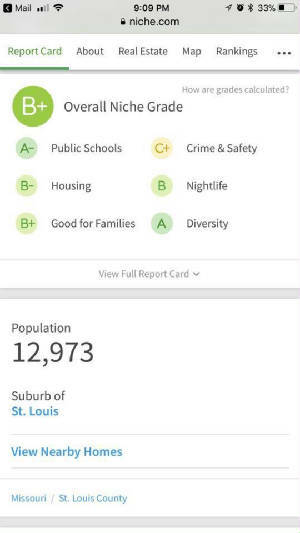 I ask the rest of the Businesses and Developers out there... Is this what you expect when you are deciding to spend your money here in St Louis County?? ?